The headphones from my old Xperia Ray turned out to be incompatible with my new Xperia M. They are still fine, but I can't use them with the new phone. Also they can't be used with a simple MP3 player as the TRRS jack passes the audio output through the microphone, so it's barely audible. 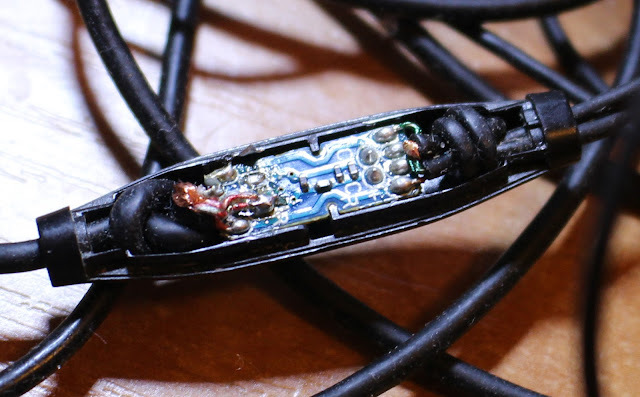 So, to fix them permanently, I opened the microphone enclosure (a fingernail works well). You'll notice the two wires marked G and R that connect the mute button. When shorted, the effect is the same as if the mute button was pressed permanently. And that's what I've done. 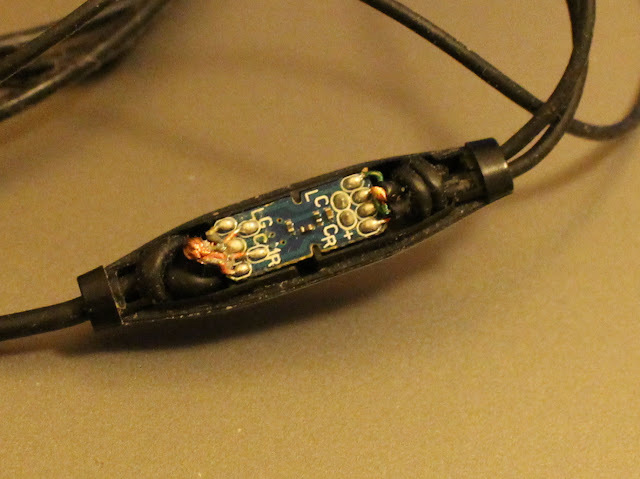 A blip of the solder gun and the headphones can be used!